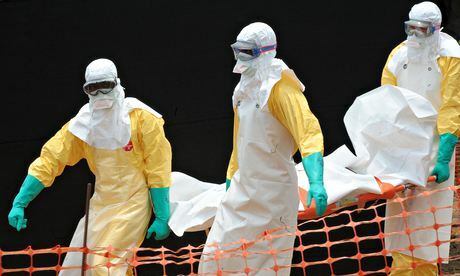 The embassies of the three sister Mano River Union countries in China – Guinea, Liberia and Sierra Leone, currently plagued by the deadly Ebola epidemic, met on Friday, July 11, at the Sierra Leone embassy in Beijing. They have agreed to work collaboratively to approach the ECOWAS Group of Ambassadors (EGA) in China to lay emphasis on the devastating effects of the virus on the sub-region and to solicit international awareness and assistance. Also discussed during the meeting was the need for MRU countries to work very closely towards realization of the Sub-Regional Makona River Union Free Zone Project. They dilated on the values and economic benefits of the Makona River Free Zone Project to the Republics of Guinea, Liberia and Sierra Leone in the first instance and then by extension, to the entire ECOWAS Sub-Region. The three diplomats agreed to relentlessly work towards the implementation of the Free Zone Project. Speaking on what should be done very quickly about the Ebola outbreak in the three countries, it was agreed, that the concern be presented to the EGA, so that the EGA could subsequently fully brief the government of the People’s Republic of China, through the Forum On China-Africa Cooperation (FOCAC) to seek further support to fight the deadly Ebola epidemic. His Excellency, Victor Bockarie Foh referred to the Ebola epidemic in the three MRU countries as “a sad chapter, claiming the lives of people in all the countries”. 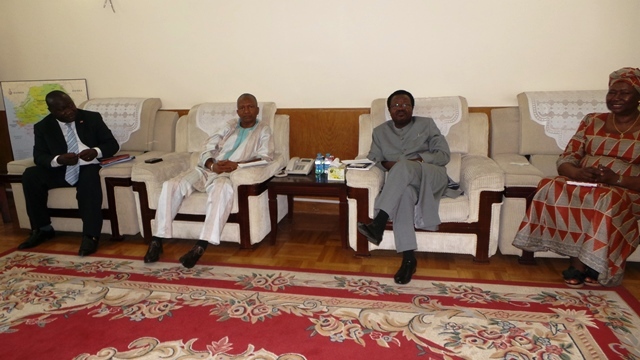 With plans for an ECOWAS Group of Ambassadors (EGA) meeting, suggested by the Ambassador of Cape Verde, Ambassador Foh said, “this is an issue that should be presented to EGA, AU and then FOCAC. He informed the meeting that “this is the time for stronger collaboration” in support of efforts our Presidents and home governments are doing to combat the virus. He informed the meeting that President Ernest Bai Koroma and his government were very vigorously and with all at their disposal, pursuing extermination of the Ebola and added that as a government, special treatment centres have been established to enable rapid medical response. He informed his colleague diplomats that President Koroma, his Vice President, Ministers and Deputy Ministers have all volunteered handsome percentages of their July salaries towards fighting the Ebola. In his contribution, Charge de Affairs, Embassy of the Republic of Liberia in the People’s Republic of China, Jimmy G Barchue thanked Ambassador Foh for calling the meeting to discuss such a deadly pressing health hazard currently plaguing three out of four MRU countries. He disclosed that his Government is also working round the clock to address the Ebola epidemic. Jimmy Barchue gave statistics of fatalities and measures so far taken by the Liberian government to combat the disease. He disclosed further that the Liberia National Legislature has been closed and “Legislators are in their Constituencies on Public Education drive”. Bah Thierno Maadjou, Charge d’Affairs, Embassy of the Republic of Guinea in the PRC, briefed the meeting on the state of the Ebola epidemic in Guinea and steps so far being taken by the Guinean government to fight and exterminate the Ebola. He informed the meeting that considerable education and assistance is given to the people to improve their sanitation, general health conditions and diet and added that Public Health Education was crucial in fighting Ebola and that the government of the Republic of Guinea was progressing this programme. On yet another matter of MRU sub-regional dimension, Ambassador Foh restated to the meeting that the Presidents of three countries – Guinea, Liberia and Sierra Leone gave the nod to the Makona River Free Zone Project some two years ago. Also, at the recent MRU Summit held in Conakry, Republic of Guinea, the MRU Secretariat was mandated to engage Finance Institutions in the People’s Republic of China, particularly EXIM Bank for implementation of the Project. Both representatives of Liberia and Guinea underscored the economic viability of the Economic Free Zone along the Makona River. On the Liberia side, Jimmy Barchue said “as an Embassy, the Liberian Mission in the PRC attaches great importance to the Makona River Free Zone Project as we all stand to benefit from it. This Project will open up the three countries and beyond,” he concluded. Ambassador Foh said, “Joint effort was needed to push the Free Zone Project forward”. The three Presidents, he reiterated, are all committed to seeing the realization of this Project. The expected development results of the Makona River Free Zone Project include, but not limited to; a boom in Infrastructure in terms of transport, logistic and other sectoral development; agriculture and plantation development; mining development; and related urban development and trade and investment. At the close of their meeting, the three diplomats jointly commended Presidents Alpha Conde of Guinea, Johnson Sirleaf of Liberia and Ernest Bai Koroma of Sierra Leone for the robust fight they are waging against the Ebola. The diplomats resolved to go with One Voice to report to the ECOWAS Group of Ambassadors (EGA). Streets of rivers – shall we ever learn from experience?